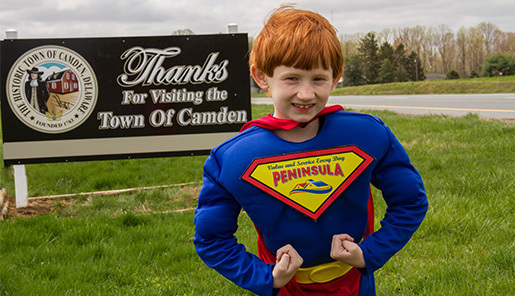 Superheroes are all about power, as are the companies providing fuel for America's many industrial, commercial and domestic needs. Also, everything in America is about power, because our system of capitalism is poisoned with rot from root to crown. But what they have and we don't is superhero mascots! You have to admire not only his dedication to clean-burning natural gas power, but just how content he seems with his healthy physique and spectacular facial hair. This guy seems relaxed, confident with the power of natural gas! Also, the appeal of speaking in these laudatory terms about the fuel industry has worn off, so I'm just gonna go back to sassin' this stuff. 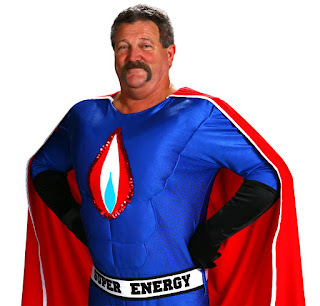 Super Energy Man is the official spokesman for Gulf Breeze Natural Gas. 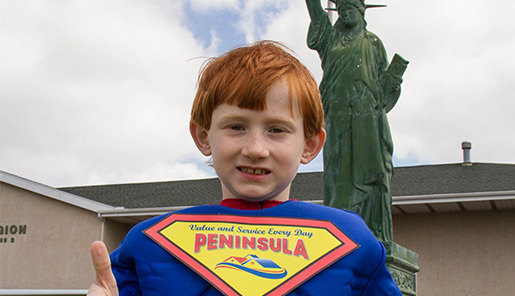 His job is to create public awareness of natural gas as America’s Super Energy. The actual man in the Super Energy suit is Harrold Hatcher, who has managed our marketing and safety programs for over 20 years. Dang Harrold, congrats on the promotion! Capt.Mercaptan has already scored a promotional comic tie-in with Iron Man, so the kid has legs ... and a dead-eyed rictus in lieu of a genuine human smile. 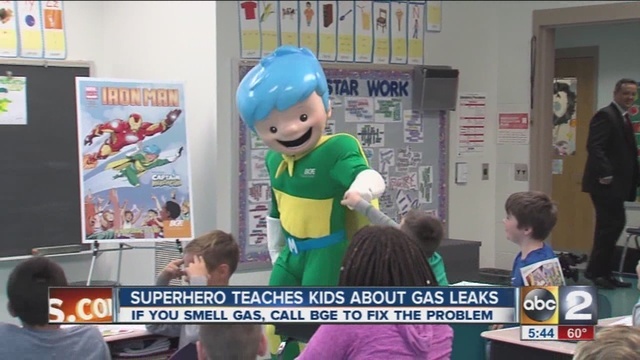 This is a good mascot to have visit kids if you want them to associate gas and electric power with the dread of being abducted by circus folks in Carnivale masks. ...Or that's my best guess, anyway. 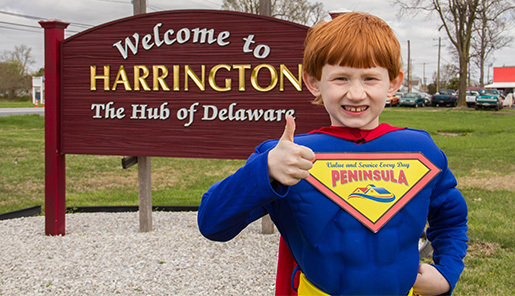 Propane Joe, a flame-haired hero who shows up whenever inefficient energy is being used somewhere (so ... everywhere), holds a place of honor* on the portfolio page of the advertising agency which created him, but the NCPGA's site has no trace of the guy. Is this one of those event comics where parts of history were overwritten? Is Propane Joe the victim of Zero Hour? Is he The Sentry? 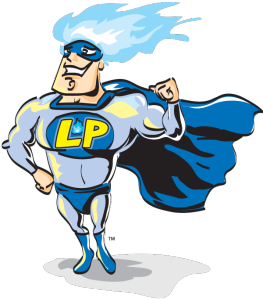 I don't know why his insignia says "LP." "Look, propane!" maybe. It's good that Alfred E. Neuman's branching out, though. Gulf Breeze Natural Gas.Oh how I wanna smell that Gulf Breeze Natural Gas. WHAT A FUZZY BELLY!SUCH A FUZZY BELLY! I wanna just rub my face in that bel... oh my God, Harrold Hatcher has genuine marketing superpowers. I recently voiced the leader of a team of animated Science Heroes who let themselves into the bedrooms of adolescent boys to show them that they can be free of the scourge of moderate to severe plaque psoriasis through the magic of ENBREL®. Not a TV commercial, unfortunately, but they said the video should be posted to their site by the end of June. I probably should have pressed a bit more to find out exactly where it's supposed to be posted, but usually once a session is done I'm all "GreatworkingwithyouheresignmythingBYE!" as I rush out the door to try and get to the Bay Bridge before all of SF turns into a parking lot. I've been checking the sites for the drug itself, the company that makes the drug, the marketing company the made the video, and Youtube. Maybe I should check PornHub too just in case there were major revisions in the editing. You never know. About damn time! It's possible that it's been up for a while, but I just now figured out how to navigate the four clicks from the home page that lead to the video. We burst into the little boy's room at around the 3:20 mark. I'm Dayne, but the actress who plays Clarissa got saddled with all of the heavy-lifting descriptive text and pretty much carries the piece. Granted, we get paid for an single hour-long session and not by the word so our checks were the same size. The system works!